We all have our own needs, desires, expectations and capabilities which are influenced by our experiences. Some here have experience measured in decades, others years and some months. Anyone wishing for sage advice would be better served by elaborating rather than assuming we all know what you would like opinions on. As for fuel injection, I can't recall ever having an issue since my 1975 Datsun 280Z. I can clearly recall hundreds of issues with carburetors in cars and motorcycles. I stil have my jet board, which was necessary as I rode in the mountains. With corrosive ethanol contaminated gas a reality, carbs are toast. i've gotten plenty of good sound advice so far in this thread. What more do I need to elaborate on? Well, after seeing the 3 wheeler post, it appears that the shotgun approach is what you were looking for. Or, maybe better said like kids with machine guns: Spray and Pray. For example; in the OP you asked about the Honda automatic. Something they have been offering in a umber of configurations for many years. Heavy (10 kg), but reliable way to avoid using a clutch. Last edited by RSL; August 19th, 2017 at 07:17 AM. To refocus, I'm leaning further from the getting an AT idea and more towards getting a real dirt bike idea. Advice posted by members has been instrumental in me swinging this way. For my own preferences I am strongly weighing the benefits of a bike that is more capable off-road, considerably lighter and much less costly. The savings realized can be applied to making the Hyperstrada a better, and more comfortable machine for my grueling commutes every day in death-race 3000 traffic on road surface conditions that make cobblestone seem like an improvement. The idea of the automatic has its positives and negatives for me. I don't think it is something I can decide upon until I actually try it out. My last auto was an ATC110 I owned in my preteens. Only the clutch was auto, you still had to shift gears. That being said I will still look to test drive an AT if I can find one that stays in the dealership long enough for me to do so. When people ask if a particular motorcycle is a good one, I have to ask good for what? The Africa Twin is a solid Honda offering which is targeted at the off-road side of the adventure motorcycle buyer market. 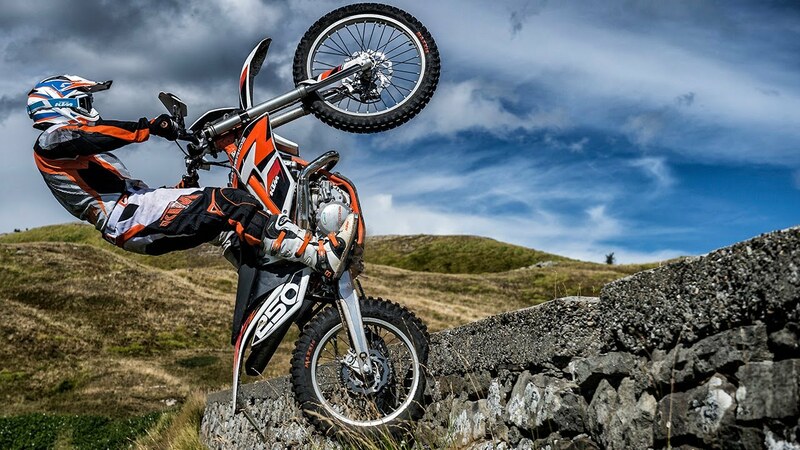 A lower seat height than any similar KTM offering, along with the steadfast Honda reliability. Those more focused on adventure touring would be better served by looking at more road focused motorcycles. Those wishing to actually trail ride would be better served by looking at real dual sport bikes. 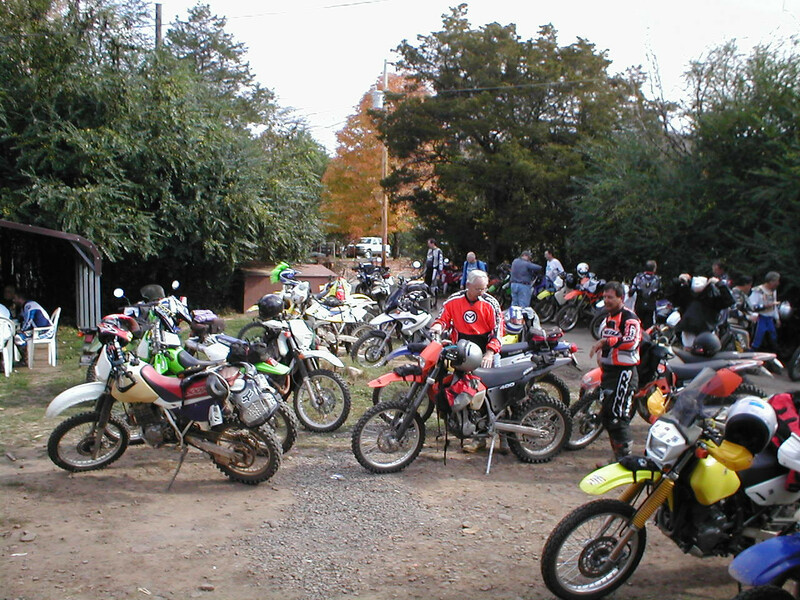 Real dirt bikes, even street legal ones, are narrowly focused on off-road use and are only comfortable enough to get to the next trail when on pavement. I know of a rider who crossed the Rubicon Trail on a R1100GS. Superior rider. A league few can match. 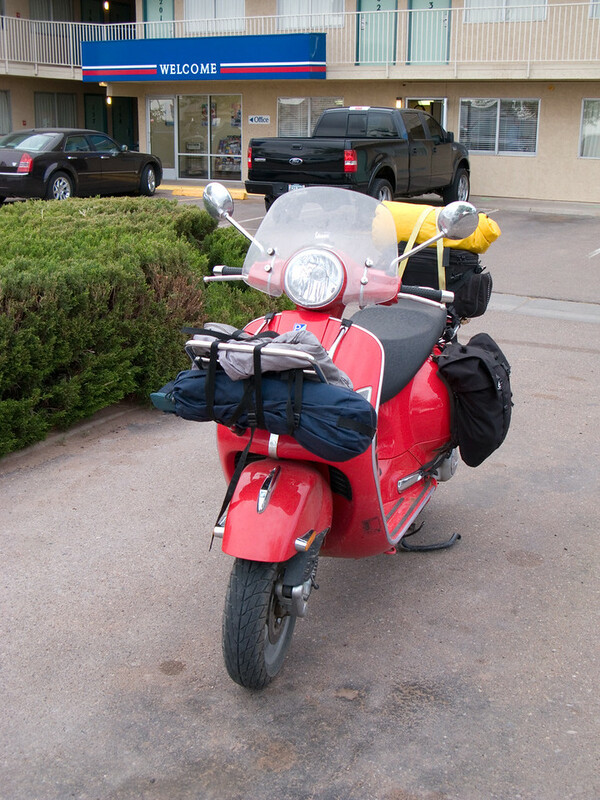 I met a scooter rider crossing the US. My point being any vehicle can be made to do a wide variety of tasks, if the owner chooses to put up with the abuse. Last edited by RSL; August 19th, 2017 at 07:48 AM. I'm leaning further from the getting an AT idea and more towards getting a real dirt bike idea. . I had guys come to my rides with all flavors of dual sport bikes. The used list goes on and on, the new bike list is pretty good too so long as you are fine with old tech. The list of bikes designed in this century for dual sport use is very small. Last edited by RSL; August 19th, 2017 at 08:01 AM. I would need a dual sport bike specifically. I plan to do more fire-roads riding in State Forests where only street legal bikes are permitted. I would need the dual sport to be relatively capable for 3 to 4 hour rides on the freeways in order to get to said State Forests. By capable I mean fair level of comfort and enough grunt to cruise easily at 80 mph without revving too high and vibrating my fillings out of my teeth. I agree the HS can do a lot and I 've put her through a lot myself already. But I'm finding in my part of the country there aren't a lot of choices for riding areas where low ground clearance won't be an issue. 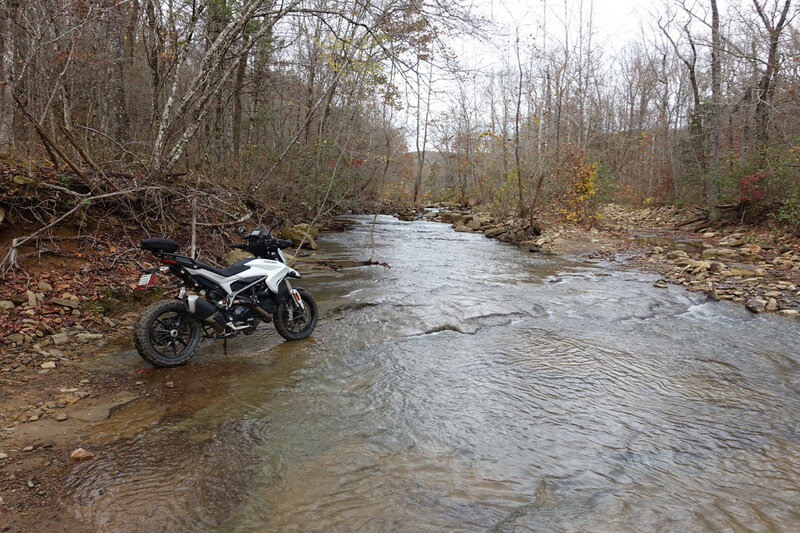 There are a few decent trails right down my street I wish I could ride on but there's a rocky stream crossing that would likely damage something down below. I can ride my mountain bike through it ironically enough but won't dare take Daisy with her low ground clearance and little 17" rims through it. And that's more common for me, off-road areas and trails aplenty but too strewn with fallen vegetation and rocks to safely negotiate on this Ducati. For large stretches of easy fire roads she can shine on I need to go 3.5 hours from home, pitch a tent in a campsite and make a weekend of it. Which is fine and fun. But I don't have the luxury of extra time off from work whenever I want a long weekend. With a smaller and more capable dual sport bike I would have no problems riding the various trails and power lines available right here in my own county. I could go riding for a few hours after work and be home in time to take the family to dinner and a movie. My last attempt with hitting the local spots resulted in my bike taking a mud nap attempting to cross a tiny stream. Which ironically enough my mountain bike had no trouble with. I like that I can take the HS off-road and will continue to do so. But suitable spots for this are few and far between in this congested urban area. I've got to think practical. Used 650 Japanese bikes, KLR, DR, XRL. Last century bikes. Be careful to drain the carbs to lessen damage from ethanol. 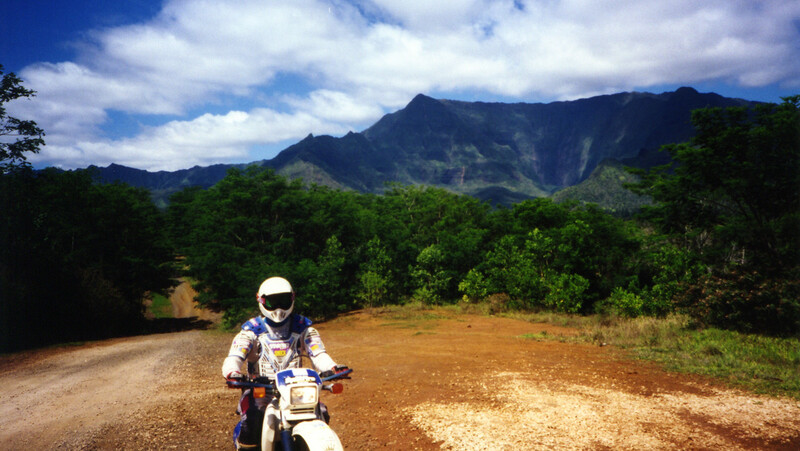 From Hawaii to the Ozarks, and nearly every Dual Sport Ride on the west coast, a free XR650L served me fine. New or used KTM 690 Enduro R - This century bike. Expensive and holds value well. Real dirt bike capabilities, yet won't kill you on freeways with a Seat Concepts redo. You can even lace up 17" supermoto wheels have even more fun. Last edited by RSL; August 19th, 2017 at 09:03 AM. "how many KTM's have done RTW or even cross continent rides? " A lot - in fact it's an industry outfitting them for just this purpose. Yes, but we see the ADV industry supporting MANY bikes, not just KTM or BMW. Ever visit the Pro Cycle site? One stop shopping for DR650 ... and many other bikes including KTM. But fact is ... very few KTM singles going RTW. Check out the Ride Reports, Blogs et al. Jammin Jay on his 3 year trip on his over loaded DR650. KTM twins have a few RTW to their credit, where 690's and 640's are small numbers ... with many reports ending with the bikes blowing up. KTM singles have a very checkered history. Latest ones are much better now of course, but we don't see many 690's, 450's or 500 KTM's doing RTW. Compare to ride reports featuring KLR650, KLR250, Super Sherpa, XR650-L's, XR400's, CRF250F, XT600, XT350, XT250, WR250R, DR650, DRZ400S's, DR250. The CRF Honda and Yam WR250 are F.I. bikes ... all the rest use Carbs. "EFI is many times more reliable than a carb. The failure rate among modern ECUs or actual injectors is near zero. The argument that ECUs can’t be fixed by the side of the road is rendered mute by the complete absence of ECU failures, even on the most brutal of adventure rides." It's great you like your bike, but that doesn't mean others are bad or worse. Yea, Walter and I disagree on a few things! Not trying to claim anything better or worse, just showing what still works today and what has worked over last 30 years, with documented history as proof. the HUBB (Horizon's Unlimited) Read ALL his Sibirsky reports on ADV. Keep in mind he is a commercial enterprise. IMO Walter is no Carb or F.I. expert. He has no real early dirt bike experience in his youth and probably never had to rebuild a carb ... he paid someone else to do it! If you look around there are Tens of THOUSANDS of riders who still swear by Carbs. Even young guys, who've come back from Injected bikes! F.I. is great too, but for me, perhaps not the best solution when 1000's of miles from help. But F.I. is clearly our future. I get how "mostly" reliable F.I. is ... but consider this ... just a low or dead battery will sideline you on a F.I. bike. Sometimes, batteries have a mind of their own. In my dozens of rides in Baja, Mexico, Cent. America I've run into many riders with battery problem. (mostly NOT on F.I. bikes) They can fail! 5 trips (3 solo) to Baja and Mexico on beater DR650, never a Carb problem on those rides or in over 60,000 miles riding ON and OFF road travel. Good point. Traveling to 3rd world countries demands being prepared, both before to fail-proof your equipment, and during by being able to make things function again. A prudent traveler, with the concern over a too-small battery, like KTM is often accused of, will carry a small Earth-X jump lithium battery. Something I wish I had the one time I had a motorcycle battery fail. One time in decades of riding. Many wait for failure to perform what I consider routine maintenance. Maintenance like battery replacement, or additives in fuel to keep the entire fuel system clean.